I awoke this morning with a rather bland outlook on the day. It's supposed to rain for the next week and the sun is being rather modest as it hides behind the clouds. Lack of sunshine always puts me in a subdued mood. Nevertheless, I pushed forward with my morning. Not long after logging into the computer did I remember that Shannon at For My Sweet Daughter had offered up a beautiful palette for Finally Friday. Her palettes come from Design Seeds and are full of all kinds of eye-opening and kick-you-in-the-pants inspiration. Just take a look at this week's palette! It's called Beaded Brights and can be found at Design Seeds. Sure enough, one look at this palette and I was waking up to these brights. The hardest part for me was that pinky, peachy, coraly color below the blue. I had NO beads in that shade. I did find some buttons that came close though. This was the closest I could get to the colors in the palette. As I looked at my collection of beads and buttons in the above teacup, they seemed so very sweet, not to mention how tiny the beads were. So I knew I wanted to make just a sweet little bracelet. I used gold-tone wire to give it that classic look. Shannon's palette prompt was a great motivator for me this morning. Thank you Shannon!! While I'm here, I finally decided on a name for my Link dump posts. Introducing. . . . I'm still working on my goal to get in a publication and found that I saved a bunch of helpful links on the subject. 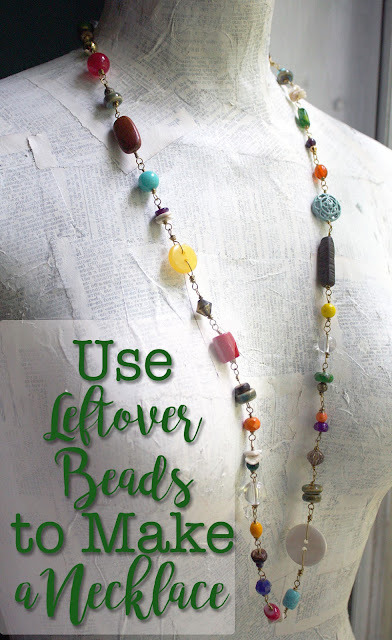 Lorelei offered up a few tips as well as links to popular beading magazines' submission guidelines. 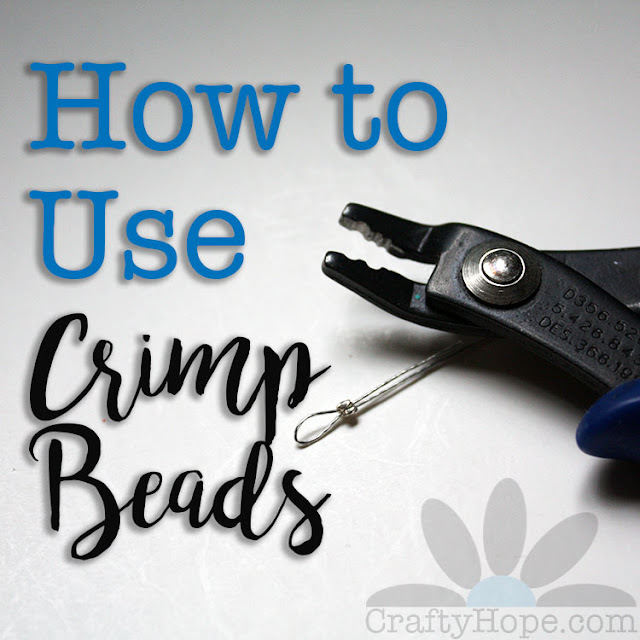 Heather at Humblebeads wrote a similar blog post with tips and links. 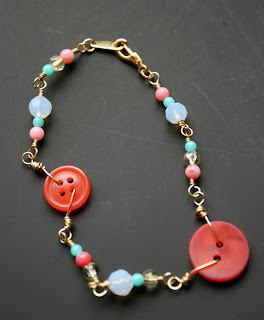 She also has a link to Lorelei's post and one from the illustrious Lori Anderson of Pretty Things. Lastly, Cyndi at Beading Arts offered up her own (longer) list of links to magazine submission guidelines. Now I just need to eke out some time to click through all those helpful links! Since those links are all business and no fun, let me add a tutorial to this list. 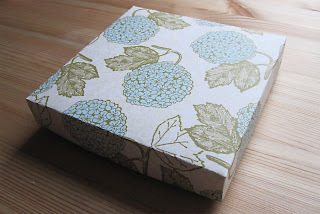 Malin at Beading by Malin de Koning posted a great tutorial on how to make a paper box. I've made similar ones but they're always been too tall and not wide enough. This short, wide one is perfect. Thanks Malin!! 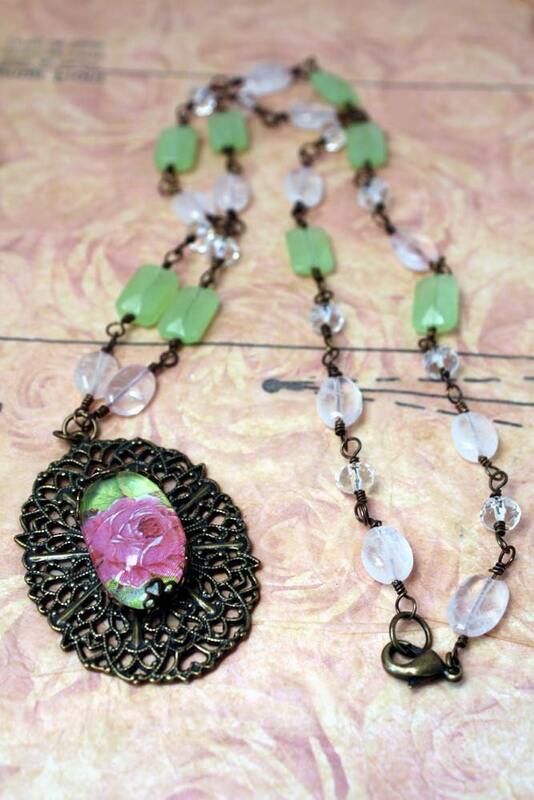 Lastly, here's a new and a sale item in the shop. So that's all the news for this Friday. Now I'm off to see what other trouble I can get myself into! What are your plans for the weekend? What a great piece! I love the buttons and the wonderful colors! Thanks for the links to getting published. I've been beading since 2007 and have really never thought about submitting my pieces to magazines until just this year. The problem I have is that I make a piece and either sell it or post a photo on my blog before I realize I could be submitting it to a magazine. Cute, cute! Thanks for playing along. I have made boxes before too but they are bigger I will have to check these out. Just submit something, anything. I think once you do it and either get a no or yes then it gets easier every time. I have gotten over 150 no's. It's not the end of the world. That is a sweet little bracelet nice job. Love the name you chose for you link posts. 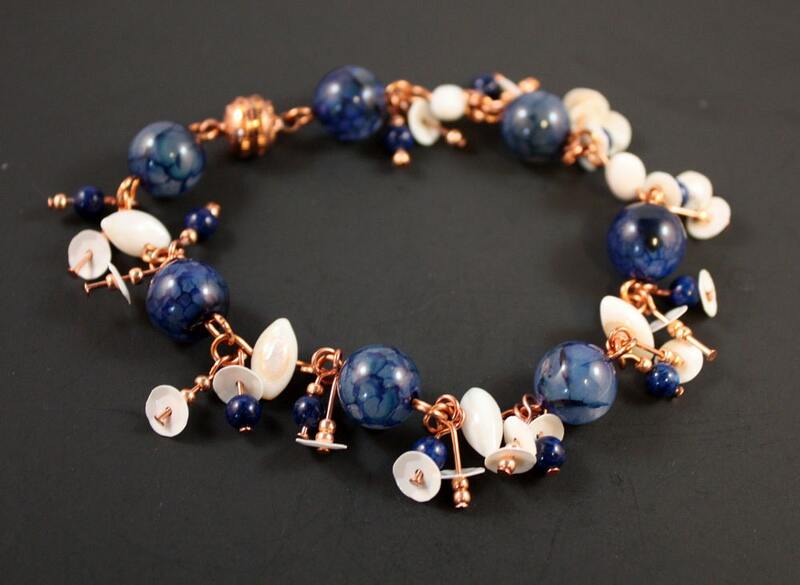 I love your Blue Penny bracelet, blue and copper go so well with each other.